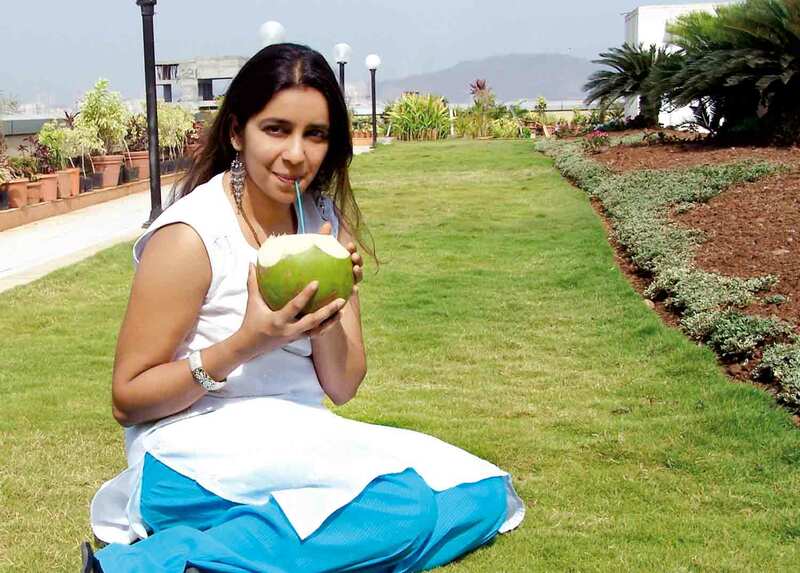 Coconut water – the “wonder drink” – is the answer to your stifling summers. Exactly where coconuts originated is not known for sure, but many historians believe Malaysia and Indonesia grew the world’s first coconuts. The water of fresh tender coconut [king coconut or “Thembili” and “Weware”] which is the liquid endosperm is the most nutritious wholesome beverage that nature has provided for people to fight the sultry heat. It has a caloric value of 17.4 per 100 gm. Coconuts come to market in two major stages of maturity. Young coconuts are prized for their sweet, revitalising juice. The skin of tender coconut – which is soft and delicately sweet – is gaining interest among innovative raw foodists. Water from a young coconut not only provided a refreshing drink in hot countries, but in times of medical emergency it was used as a substitute for glucose. During World War II, coconut water became the emergency glucose supply when there was no other sterile glucose available. Within a clean self-contained vessel, the coconut water is free of impurities. Coconut water is naturally sterilised mineral water. It acts as anti-dote to the side-effects of medicines. It is completely safe for babies. Tender coconut juice is a well-supplied medicine chest that comes in its own container and is used in healing a number of ailments: relieving fevers, headaches, stomach upsets diarrhoea and dysentery. The juice is also given to strengthen the heart and restore energy to patients. Pregnant women drink young coconut juice as it will give their babies strength and vitality. Good for feeding infants suffering from intestinal disturbances. Oral re-hydration medium. It also helps in digestion. Contains organic compounds containing growth-promoting properties. Application on the body prevents prickly heat and summer boils and subsides the rashes caused by small pox, chicken pox and measles. Presence of saline and albumin makes it a good drink in cholera cases. Excellent tonic for the old and the sick. Diuretic [a substance which tends to increase flow of urine]. Can be injected intravenously in emergency cases such as cholera and dysentery when other pyrogen-free fluids are not available. Can be used as a blood plasma substitute because it is sterile, pyrogen — free and does not produce heat, and does not destroy blood cells. Aids the quick absorption of drugs and makes their peak concentration in the blood easier by its electrolyte effect. Urinary antiseptic and eliminates poisons in case of mineral poisoning. Regular face cleaning with coconut water removes black marks and pimples. The water-of-coconut is rich in mineral, carbohydrates, proteins, staple fibres and vitamins. Tender coconut water contains most of the minerals such as potassium [290 mg], Sodium [42 mg], calcium [44 mg], magnesium [10 mg], phosphorus [9.2 mg], iron [106 mg], and copper [26 mg]. Heals damage induced by antibiotics and toxins in the digestive tract. The liquid inside a young coconut is plentiful, sweet, and nourishing. Use a strong, sharp knife to whack off the top of the coconut, poke a hole in the top, and insert a straw. You’ll be surprised at just how much thirst-quenching, delightfully sweet liquid is inside. Naini Setalvad is a renowned nutritionist and health and obesity consultant. She is a regular columnist for the leading newspapers and magazines. She has also conducted workshops to improve performances, memory, concentration, inter-personal relationships, reducing stress, aggression, mood swings for various institutions. what are the benefits of coconut water for urine infection? I would like to know how to keep and maintain tender coconut water in bottling for long time of period?